All prices are from print ready files supplied and do not include delivery or VAT. 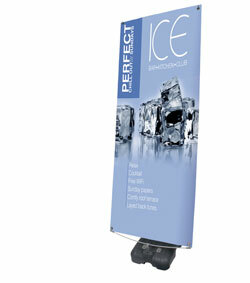 The Blizzard is ideal for all kinds of events including corporate, sporting, promotions and point of sale. Its simple design makes it very easy to assemble onsite, and because it is adjustable, it can accommodate different graphic sizes to suit your application. Built for durability and strength, the Storm Hydro 2 is ideal for any indoor or outdoor promotion. 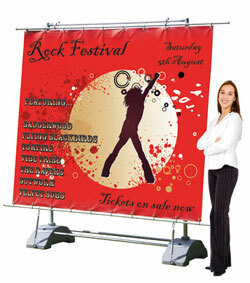 It can be used to present a double-sided graphic and is ideal for areas where there is 2-way traffic. Graphics are held with a simple eyelet system that allows for quick and easy assembly. 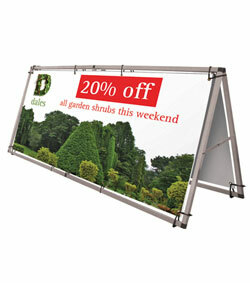 A large format double-sided outdoor ' A' frame banner, made from lightweight aluminium, ideal for use with PVC eyelet banners. 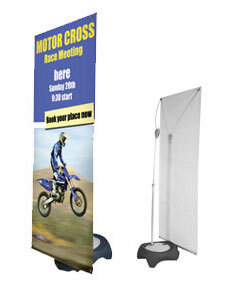 The largest graphic display in the range, the Horizon is the perfect solution for large-scale promotions. Display single or double-sided, you can achieve maximum impact for your message; with individual units linking together to form a display wall.